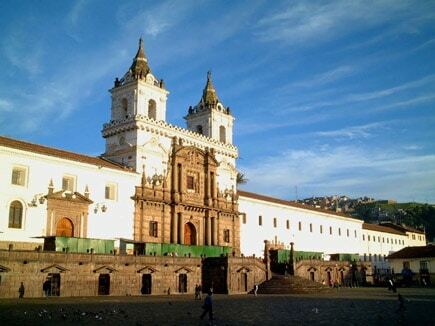 Arrive to the UNESCO Wold Heritabe city of Quito, amidst the high volcanoes of the Andes. We pick you up and take you to your safe hotel in the city center. Quito was the first city in the world dubbed a World Heritage city by UNESCO. You will see it in all its colonial splendor – San Francisco Square, the Cathedral and the 150 foot tower at La Merced. Then it´s on to the Middle of the World Monument, where you will literally straddle the equator. The tower marking the spot has an interesting cultural museum. Then it´s back to rest at your hotel or walk around the Mariscal in the evening – full of the city´s best bars and restaurants. Fly from Quito over the mountains to the Amazon Basin and the town of Coca. After a short ride by motorized canoe you will meet with your Amazon Cruise ship: the M/V Manatee for your 4 Day Amazon Cruise. 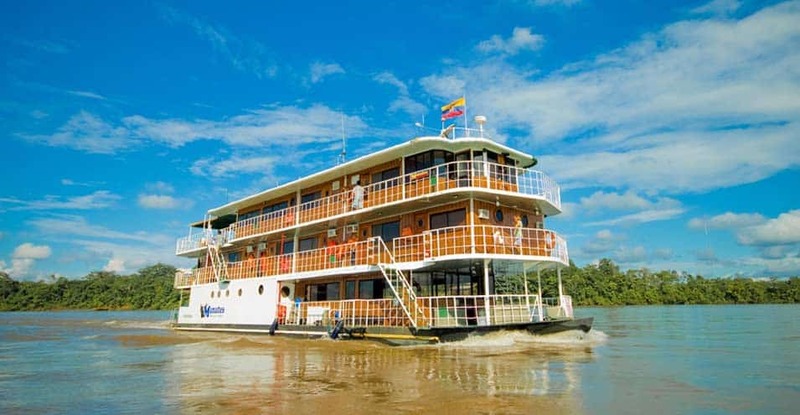 Once aboard, you set off along the Napo River. At dusk, your first experience with the Ecuadorian Amazon Basin will begin with a night walk and a visit to the home of a local indigenous family, or a canoe ride, depending on the water level. An early morning visit to a parrot clay lick. These are places where hundreds and sometimes thousands of brightly colored parrots, macaws and toucans gather at twilight. In the afternoon, you will explore the Chaullacocha black water lake and climb up an observation tower to see the different canopy layers of the rainforest. You also have the chance to learn about the use of medicinal plants from a local guide. In the evening, head out to serch for black caimans in the lake. 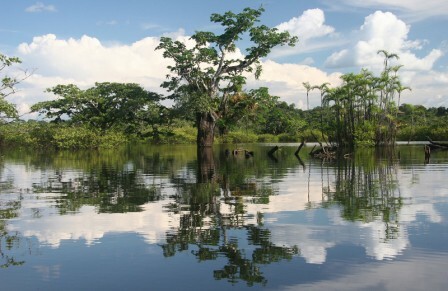 Take a canoe trip along the Piranha River to see squirrel monkeys, pink dolphins, white caimans, and of course, piranhas! Here you can swim in the lake and/or fish for piranha using “catch and release” techniques. Enjoy a typical Amazon BBQ in the afternoon and explore the forest with your expert guide. The mornings´activities include a visit to a local community to learn about how people live in the is part of the Amazon. The Manatee will then return to Coca for your flight back to Quito. There we will pick you up and take you to your city center hotel. We will take you to the airport for your flight home. Option! 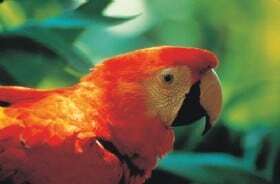 Combine this with a Galapagos Island Cruise.